A CLASSIC MUSICAL RETURNS TO THE STAGE! One of the greatest American musicals of our time comes to the St. James Theatre on March 3, 2008 with an official start date of March 27, 2008. 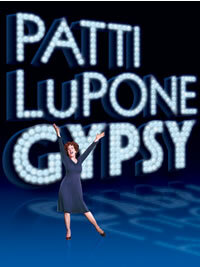 Once again a fresh revival of Gypsy is set to delight another generation of theatergoers. The production is based loosely on the 1957 memoirs of the famous striptease artist Gypsy Rose Lee and focuses on her nightmare of a stage mother Mama Rose who so desperately wanted her daughter to succeed. Gypsy chronicles the lives of a relentless stage mother and her two daughters June and Louise as they tour the vaudeville circuit during the Great Depression. Rose wants nothing more then to have her daughters achieve stardom while they want nothing more then to have their mother settle down with their stage manager Herbie. When June leaves the act all of Rose’s attentions are focused on the shy Louise. When the act gets booked at a burlesque house by mistake Louise is thrust into the spotlight and forced to create Gypsy Rose Lee. With each passing performance she begins to disappear and her alter ego emerges. The original production debuted in 1959 starring Ethel Merman and Jack Klugman but it has been revived several times including 1974, 1989 (where it won a Tony Award for Best Revival) and most recently in 2003. The show also inspired a 1962 film version starring Rosalind Russell, Karl Malden and Natalie Wood. This time around the cast is lead by Tony Award winners Patti Lupone and Boyd Gaines. Stage legend and two-time Tony winner Lupone is best known for her roles as Eva Peron in Evita and Reno Sweeny in Anything Goes. She is a credit to the production and brings much talent and expertise to the role of Mama Rose. She debuted on Broadway in 1973 and has been going strong ever since. In the role of Herbie is three-time Tony winner Gaines who was most recently seen on Broadway as Colonel Pickering in the 2007 production of Pygmalion. Two-time Tony Award nominee Laura Benanti takes on the role of Louise. She made her Broadway debut in 1998 to much fanfare as the replacement for Maria in The Sound of Music where she gained positive reviews from audiences and critics alike. She was most recently seen on Broadway in the 2006 production of The Wedding Singer. The productions book was written by Arthur Laurents and the music is by Jule Styne. The lyrics are by award winning composer and lyricist Stephen Sondheim who collaborated with Laurents on West Side Story. The amusing score contains such classic songs as “Everything’s Coming Up Roses”, “Together Wherever We Go” and “Let Me Entertain You”. Gypsy is such an entertaining piece of musical theater with a long stage history. It is one of those productions that shouldn’t be missed when it comes around. Take this opportunity to see it. If it’s your first time or your tenth time you’ll be glad you went to see it! Gypsy The Musical tickets are selling for between $42 - $117 at the box office with premium Gypsy The Musical tickets costing around $250.00 for sold out shows. To view a great online selection of Gypsy the Musical tickets click the link!